Due April 15, multiple remastered versions of the group’s second album and 1983’s “Kill ‘Em All” will launch a massive catalog reissue campaign by the band. Both projects will be available in three formats – CD, vinyl and as a limited edition deluxe box set that includes original source material from the band’s personal collection with many never before heard or seen recordings along with books including rare photos and essays from those who were there. 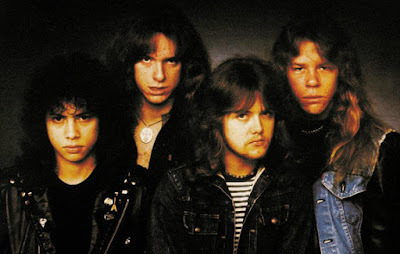 “Ride The Lightning” sold 85,000 copies in Europe in its first year as it increased Metallica’s profile abroad, while at home the project hit No. 100 on the Billboard 200 and went on to sell 6 million copies in the US by 2012.